Number three on our list is "Worm Castings" or, if you prefer, "Worm Poop". Some worm farmers are only interested in producing this wonderful fertilizer. It's benefits are catching on fast as gardeners learn about it's soil health benefits and the positive effect it has on the environment. There is a different. 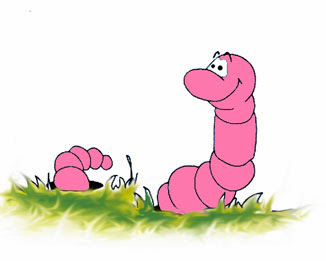 Worm castings are just that - all poop and no undigested bedding or organic material. Vermi-compost is compost with a lot (or not so much) worm castings included. You can sell both and both are excellent soil amendments. Worm poop is more than a soil amendment, though. It's really a slow release fertilizer. Vermicompost is great,however, for soil tilth improvement, microbe content and some worm poop mixed in. 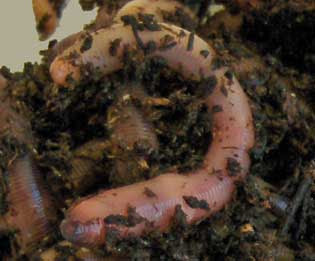 Worm castings, being all or mostly all worm poop, demands a higher price than vermicompost. It should be on the dry side (so folks aren't buying water) and should have a minimal amount of undigested organic material in order to justify the price. Application rates are lower for worm castings than for vermi-compost because of the higher nutritional content. Getting pure or nearly pure castings is not that easy and it takes a while. Frankly, there are products out there that are 99.9% pure and that concentration is almost impossible for the average worm farmer to achieve. However, you can refine your vermicompost down to a high concentration of worm castings, limit the moisture and you're sure to beat a lot of so-called worm castings sellers out there who are basically selling wet compost. The results gardeners get is proof enough and you can point out the differences in your sales presentations. Your going to have lots of vermicompost and worm castings from growing your worms. So even if you're doing it just for the worms, also plan on marketing this wonderful soil amendment and fertilizer for extra cash. 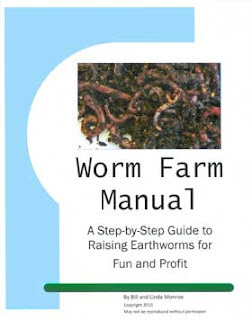 If you're thinking about starting a worm farm, this manual gets you off to a good start. Starting from the beginning and on to selling your worms and/or worm castings, limit your mistakes and save time and money with up to date information and techniques. Order your download version or a hard copy today!